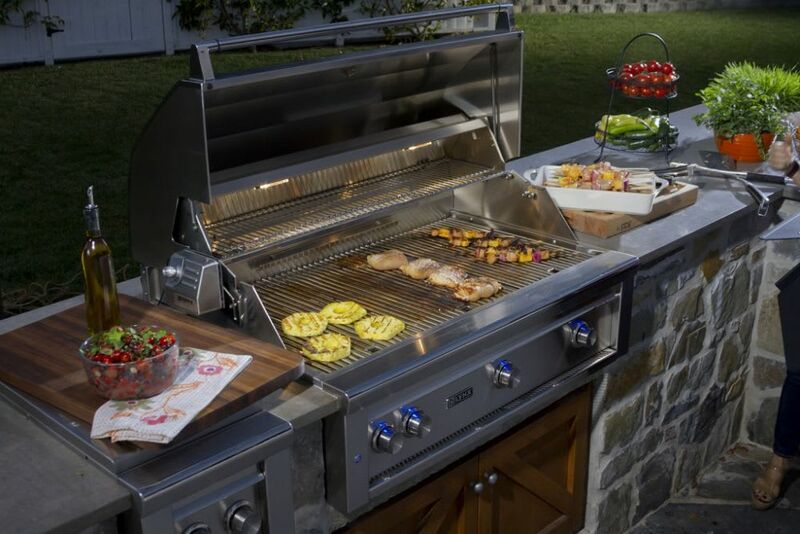 As we mentioned in our previous post on March 12th, Lynx has been the top pioneer of luxury built-in grills, ever since entering the market in 1996. Eye catching design and powerful burners have been the hallmarks of Lynx gas grills, and their latest innovation, the ceramic burner, further elevates the outdoor cooking experience. Aren't All Lynx Burners Good Burners? It's true that all of Lynx professional grills have excellent burners. You can cook restaurant quality meats using the Lynx 25,000 BTU brass burner. And the unique ProSear2 infrared burner with variable power settings has differentiated the Lynx brand for decades. So Why the Switch to Ceramic? Effective heat source: At 25,000 BTU's, they retain heat very well and radiate it better than metal burners, including brass and stainless steel. Non-Corroding: Ceramic does not corrode, especially after contact with acidic foods such as marinades and BBQ sauces. This means the burners will last a long, long time. Cordierite Ceramic: This is the same ceramic used in kilns and commercial ovens. It is specially engineered and fortified in density for durability and performance. In fact, quality assurance tests for these burners include abnormally hot temperatures along with extreme cold cycles, which also ensures that these burners will last a long, long time. Like their other products, Lynx is so confident in quality of their products that their new ceramic burners are covered under a lifetime warranty. As of April 2018, the new ceramic burners will be available, in tandem with the traditional brass burners, on all Lynx professional grills that we sell at Designer Appliances. Meaning, that if you purchase a Lynx grill now, you'll get to experiment with both styles of cooking at home. However, we expect the brass burners to be fully phased out of production starting in 2019, and ceramic to remain the new standard. The new ceramic burners can be found in both the built-in (27" 30" 36" 42" sizes), and freestanding grill models. Stop by our Bedminster location to experience the new line of Lynx Professional Grills with ceramic burners. Designer Appliances - NJ's top rated appliance store! Need More Info About Lynx Grills? Which Lynx grill is right for me? Love them? Hate them? We would love to hear about your experiences with Lynx's new ceramic burners. Share your thoughts in the comments below.